Thank you so much for joining us for the annual Crystal Ball, hard to believe that this was your fifth year! As always your mastery and insight drove a broad and interesting conversation amongst the panel. Feedback from our guests has been brilliant. I am writing to thank you for facilitating our recent ‘Financing Scottish Growth Ambitions’ event in Glasgow. The feedback we have received following the event has been overwhelmingly positive, with delegates highlighting in particular the quality of the panel discussions – in no small measure down to your expert hosting and skill in asking the right questions to provoke interesting debate. […] We really enjoyed working with you, and hope we can find another opportunity to do so in the not too distant future. A note of thanks on behalf of the whole SWIFT team for your participation at yesterday’s Business Forum London. We very much appreciated hearing your thoughts and ideas during the session and feedback has been excellent from those who I have spoken to. Thank you so much for hosting this morning, as always, the event went really well, we have had such great feedback already. I think it’s getting better and better each year, what a great mix of people on the panel and in the room. Please do send our very sincere thanks to Kirsty for a great performance on Thursday night at the Evening Standard Business Awards. It really was a pleasure to work with Kirsty again, and she held the Awards ceremony together really well. We really enjoyed her speech. Please do pass on our thanks. Kirsty, thank you again for joining us to moderate the Crystal Ball. It really was a great event, and I think the best one yet! The feedback has been brilliant and lots of people have commented on the quality of the panel! We also had an additional 900 viewers on Facebook Live, so an all-round brilliant result! The two events with Kirsty were wonderful and it was a pleasure to have her at the festival. Feedback from attendees has been excellent ? they particularly enjoyed the cut and thrust of the panel discussion. We are very grateful to you for taking the time to attend, sharing your views and stimulating interesting debate. Kirsty was a brilliant choice as Chair for a Creative Partnerships masterclass with six of Britain’s Top TV and Film writers at BBC Worldwide?s Showcase event. We wanted someone who could ask penetrating questions but also build rapport among a diverse group of highly creative people. Kirsty met the brief perfectly, asking great questions to get under the skin creative and writing process while also drawing out personal anecdotes. She also skilfully engaged the audience during the subsequent Q&A session. The result was one of the liveliest, most wide-ranging and engaging discussions at the event. On behalf of all of us at The Up Group I’d to thank you for your absolutely outstanding performance last night. You really hit the ball out of the park – thanks to you, the Awards were professional, funny, pacey and compelling. We really couldn’t have asked for more. The feedback has been phenomenal, with everyone pointing to your hosting as a highlight of the evening. We’re so grateful for your involvement. Another fabulous performance! Thank you so much for holding it all together yesterday and making all the links between the various participants. It is the most crucial role of the day and you were brilliant as ever. You make our job so easy and we have really appreciated your interest and involvement in this on-going project. Your briefing to the other participants was most helpful and knowing you could step in at any moment, if we needed, gave us so much comfort… Thanks again for another wonderful day. Kirsty, I just wanted to thank you for the sterling job you did last week. I had hoped that the event would be an inspiring and lively debate on key issues that affect women globally and I?m delighted that it was! As it was the first event, there were a lot of expectations to meet. I am thrilled at the responses from the delegates who attended and I am really grateful for your support, insight and fascinating observations. ..I am grateful to you for chairing the panels so smoothly and effectively. Thank you for making the day so successful ? we have had tremendous feedback…I hope to work with you again in the future. Kirsty chaired the event superbly…[she] was a delight to work with and we’d be thrilled if she would take part in another event for [us] sometime in the future. On behalf of the Guardian, I would like to thank you for your contribution to the Guardian Public Services Awards. Once again, your contribution was professional and enthusiastic with a personal touch. We hope that you will be able to join us at future events. The event was indeed a success and we were absolutely delighted with Kirsty’s performance. It was a pretty challenging setting, not a high tech conference venue, so Kirsty’s professionalism and experience was really important in overcoming some of the sound and staging shortcomings. She was well researched, engaged, lively, and asked intelligent questions. It was one of the most interactive sessions we have ever had and I think that was in no small part due to her ability to draw people out and encourage debate. We would definitely like to work with Kirsty again in future. Just wanted …to say thank you so much for anchoring our conference. We have had some fantastic feedback and your professionalism really helped in bringing it all together! The accolades for the conference have been extensive. Everyone enjoyed the conference and the News style presentation particularly: “professional”, “slick” “smooth” “well run” “great presenters”, “great Questions”. My thanks to you for handling the brief so well. Kirsty was a fantastically polished professional, asking punchy questions which helped create a really lively and interesting discussion. It was great to have her attend the event. [Kirsty was] the consummate professional, relaxed, knowledgeable and a fascinating speaker. She accommodated all our last minute changes and, dealt with (minor) technology failures without complaint 100% positive feedback from the audience! Just a quick email to say thanks for all your help arranging for Kirsty to moderate our debate on Tuesday. It was a huge success for us. Needless to say we were all really impressed with how well Kirsty got the most out of the panellist and engaged the audience. We really appreciated the extra time she spend mastering the brief. Thanks to both of you too for helping us pull this together at short notice. Please do pass on our thanks to Kirsty for taking part in Inspiring Women Edinburgh last week. She was brilliant – honest, engaging and massively inspiring. She was a real hit with the audience and I hope she enjoyed the event! 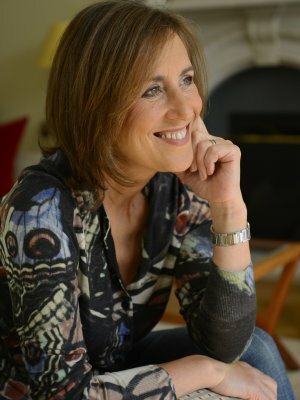 Kirsty Wark was nothing short of heroic in chairing our event. She was awesome. On brief, professional, committed, interested and helpful.